In My Kitchen are my camera shy grand daughters. They’re visiting from Melbourne for the school holidays, escaping the lingering wintery weather to bask and bathe in Brisbane’s early burst of summer. Our daily diet changes according to demand while we have kids in tow, one who’s preference is vegetarian, the other who has intolerances. They are lovers of Aussie homestyle Mexican food and are able to prepare their own nachos when the cook (me) needs a night off. I’ve stocked up with the necessities, tortilla chips, avocado, tomato, cheese and sour cream and I’ve made a batch of salsa so we’re ready for the inevitable. It’s also easy to rustle up a veggie “meat” sauce using the grater on my food processor so there are also white corn tortillas in the pantry for a taco meal. I’ll be serving fruit smoothies, fruit salad, frozen fruit ice blocks and handing out plates full of fruit at snack time. 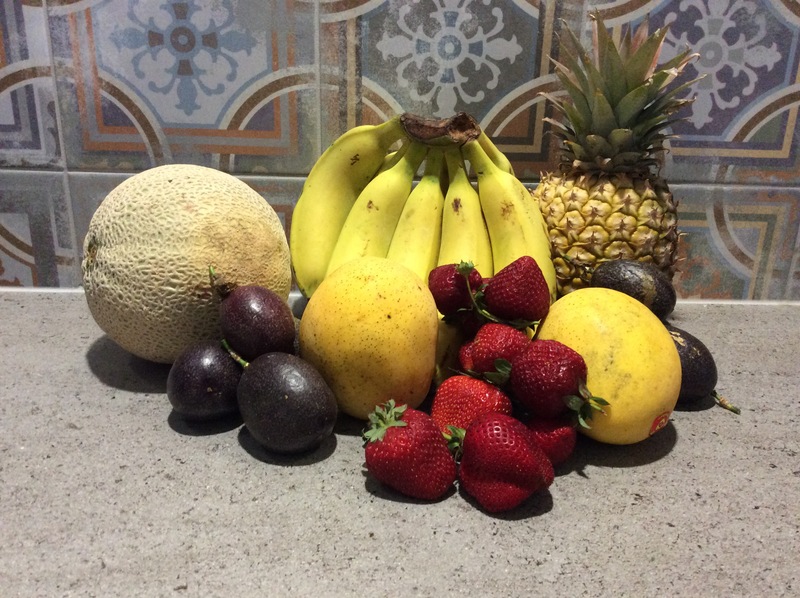 Right now is a time of fruity abundance in Brisbane with deliciously locally grown fruit cheap and plentiful. I was intrigued to find these interesting sounding rice crackers in the local supermarket. They’re flavoured with dried carrot. While they have no nasty ingredients you would be hard pressed to pick any carrot flavour. My local Italian deli makes fabulous sausages, as good as any Nonna can make with just pork, salt, fennel seed and spices. They are great grilled on the barbecue, in pasta sauces, risotto, soups and vegetable stuffings which is where a couple of these were destined. Roasted stuffed sweet red peppers, mmmm. Thanks New Farm Deli, my life would be a lot less tasty without you. These are the organic baby sweet red peppers I bought to stuff. Look out for the recipe next week. Asparagus has finally arrived at the market. I love asparagus dipped in a poached or soft boiled egg yolk. Imagine my surprise and delight when I recently scored with a double yolker. I wasn’t sharing either. 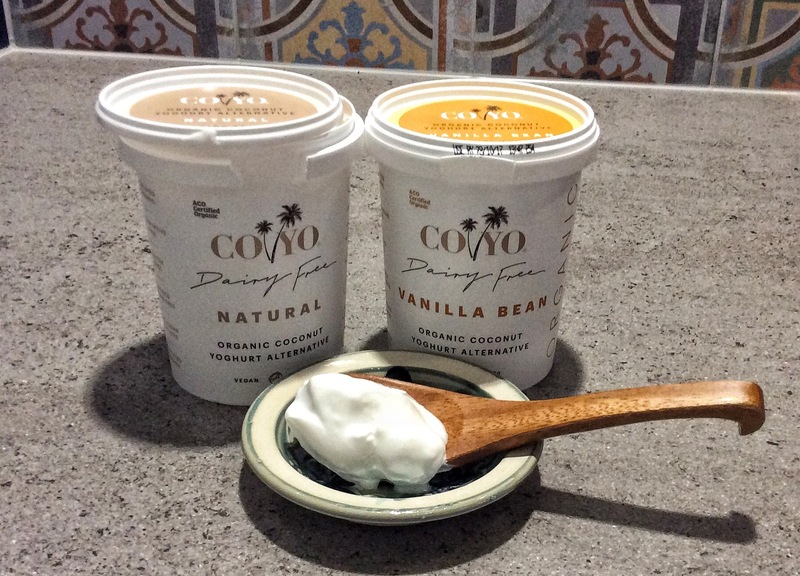 CoYo is my current favourite coconut yoghurt, a tad on the expensive side but worth every cent for it’s delicious flavour and creamy texture. It’s my breakfast indulgence on fresh fruit. 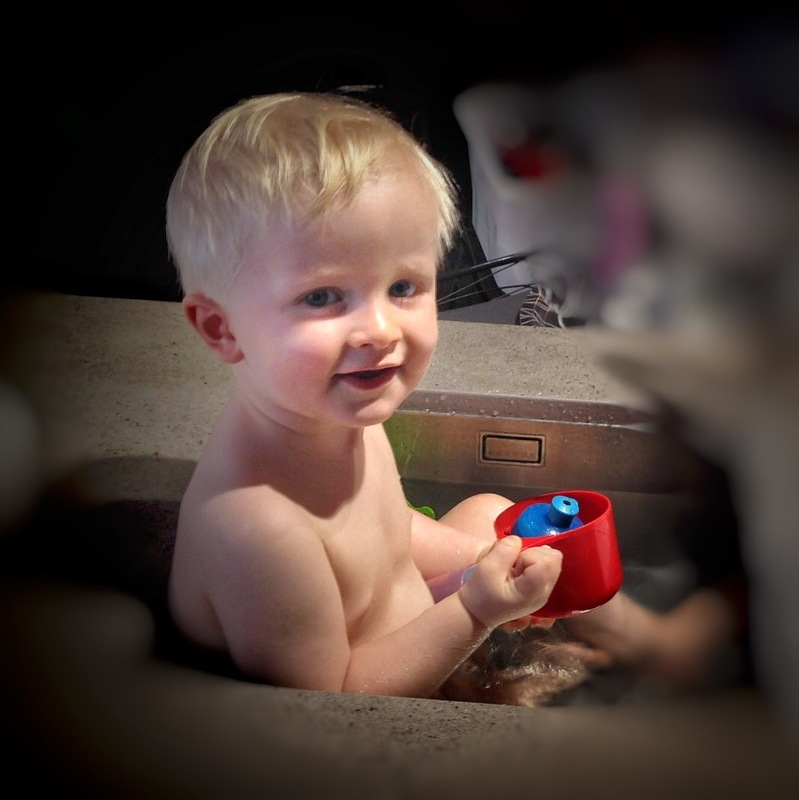 And in my kitchen sink was Will, my almost (tomorrow) 2 yr old grandson. One recent hot day I needed to keep him close and out of mischief while I cooked. He’s much much more fun than a sink full of dirty pots. My boys love to make nachos for weekend lunches when I’m not in the mood to cook or prepare anything! It’s nice to have a couple meals they can fix for themselves. Will looks absolutely adorable in the sink, so fun entertainment. Hooray for simple kid friendly meals like nachos I say! Little Will is the cutest thing in you Kitchen this month! Sandra, your grandkids will never forget their visits with you. Looks like you tackled their dietary needs with a variety of tasty goodies that’s you’re enjoying, too! 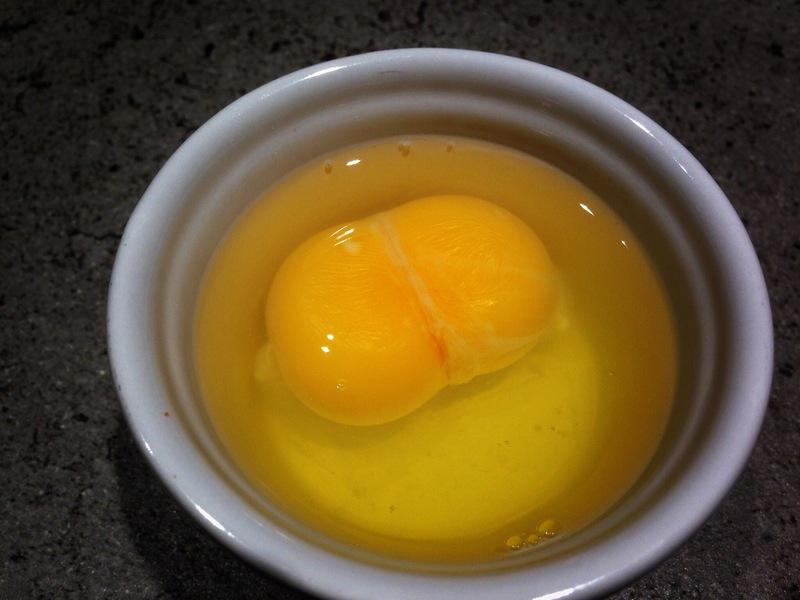 (Way to go on the double-yolker… I haven’t seen one of those for a long time.) Loved your kitchen sink “containment plan” too. 🙂 What a cutie! I hope I’m creating life long memories for the young ‘uns. The girls are more of a handful now than they were when they were little but I still love having them come to visit. When choosing a large deep kitchen sink I never considered putting a toddler in it, the cutie loves it! What an inspired way to contain a toddler – I’m deeply impressed! Thanks Amanda, it was a definitely an all round winner..
Now I’m curious – what is typical “Aussie homestyle Mexican food”? I remember some not-so joyous times cooking for teenage nieces and their everchanging preferences. Nephews seemed to eat whatever was available and consume a lot of it. Now the girls are past their teenage years and are more civil when dining at auntie Ds. 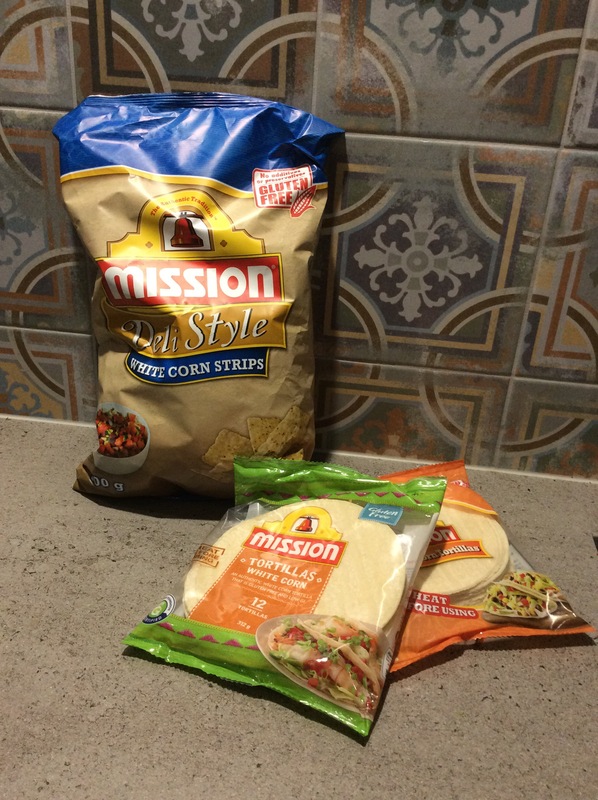 Mmm I love the Mission corn tortilla strips! Busy Nana holiday post. Love little will in the sink, so cute and definitely not shy. I know what you mean. One of my dearest lads, turned into stereotypical teenager, full of attitude the day he turned 13. If it’s any consolation, they grow out of it, but it’s so annoying along the way. Mischa belle, our eldest grandchild, now 20, has turned back into the lovely girl she was but it took a while. Good luck with it all. What a wee sweetie he is! The gf mission brands are on regular rotation here as well. Hard to beat that Northern sunshine filled fruit. Looks fab. Sandra, I’m salivating! What a fab post. I particularly love the look of those Italian sausages. Authentic Italian sausages aren’t quite as easy to get here in Auckland but I grab them whenever my gourmet supermarket has them in stock. What a lovely 2 year old you have in your kitchen sink! He certainly looks happy. I do love good Tex-Mex (or in your case, an Aussie-Mex) taco. Am envious of those lovely sausages studded with fennel. I’ve never heard of coconut yoghurt and must look out for it – perhaps when we are back in the UK where I am more likely to run into something like this. I’ve found that many commercial products like those “peckish crackers” usually disappoint. I’m sure that you could come up with more carroty flavoured crackers. Will (Leah’s little fella) is a happy little guy. He constantly makes me laugh. Now there’s a challenge, carrot-rice crackers..
What fun! And how good you are to remember and cater to all the dietary restrictions and preferences. I miss the days of my babies being small enough to be in the sink. Thanks Sherry, found the logo link. I also had bad reactions with the initial coconut yoghurt I tried, but this one is a big tick on all counts. The fruit has been amazing. 3 lge punnets of strawbs for $5 on Sat. Everyone should have a 2-year-old in the kitchen sink. Great choice! yes much better than dirty pots! Hello to all your family, both local and Melburnian! Happy birthday, Will – now I wonder how long before the splashing began after that angelic pic:) ? Love that fruit picture, use ‘Mission’ products myself, don’t normally eat sausages but, oh my, yours look enticing and must be the last one in Australia still to try coconut yogurt . . . . food delivery Tuesday: shall add! Have fun, lots of it!!! It was a messy activity, kid in sink, but a great way to confine a very active young man. Hope you enjoy the coconut yoghurt.. This entry was posted on October 1, 2017 by ladyredspecs in Food, In My Kitchen and tagged IMK, in my kitchen.